32-Pack Microfiber Cloths Just $14.99! Down From $30! PLUS FREE Shipping! You are here: Home / Instagram / 32-Pack Microfiber Cloths Just $14.99! Down From $30! PLUS FREE Shipping! 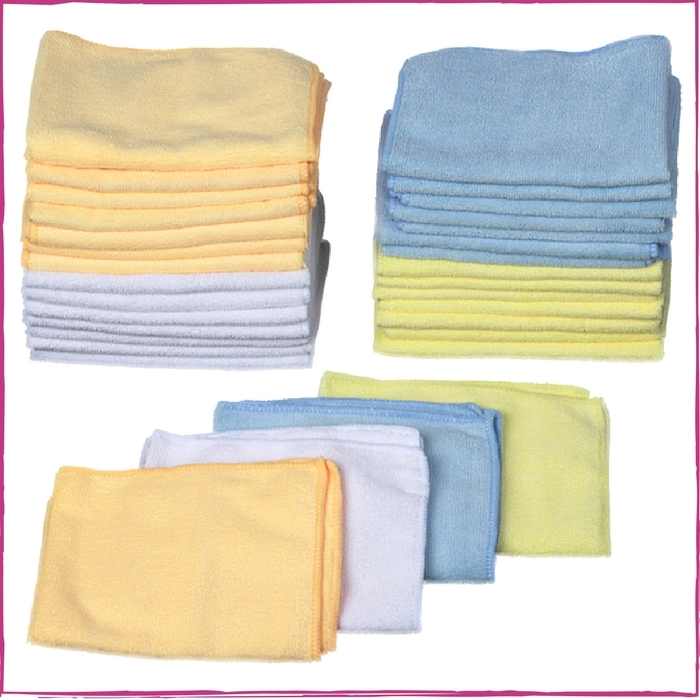 Score 32-Pack Microfiber Cloths for just $14.99 down from $30 PLUS FREE shipping! Isn’t that great! Buy now! Will not scratch Paints, Coats, Glass, or any surface. Gentle enough to be used as a washcloth for your hands and face. Highly absorbant – holds up to 8 times it’s own weight in liquid. Can be washed and reused hundreds of times. Different colors allow you to coordinate which jobs the towels will be used for. Great for cleaning cars, mirrors, windows, counter tops, dusting, and even removing makeup! 90% Polyester 10% Polyamide – Rinse Cloth in plain 1st before cleaning & dusting the kitchen, home, car, bath, glasses Etc.